I lay my left hand, encased in a latex glove, over hers so that she can squeeze it if she needs to, and put my right hand on her arm above the blood pressure cuff. For the next five minutes or so, she will be my entire world. I make small talk with her. Does she know what she’s going to eat when she leaves? She hasn’t been allowed to eat today in preparation for the abortion, so she’s got her cheeseburger all planned out. Does she have children? What are their names? They’ll be so excited to see her when she gets home. They’d better not touch her cheeseburger, though. She moans; I tell her to send deep breaths down to where it hurts. She mentions the protesters outside, who wave signs with blown-up pictures of fetuses and yell at the women entering Planned Parenthood. I feel anger burn behind my eyes, but calmly reassure her that she is brave and right for making the choice she knows is best for her and for her family. Until I trained as an abortion doula, I thought abortions were a much bigger deal than they are. That is, even though I was deeply pro-choice, I had never thought about what I would do if I got pregnant. 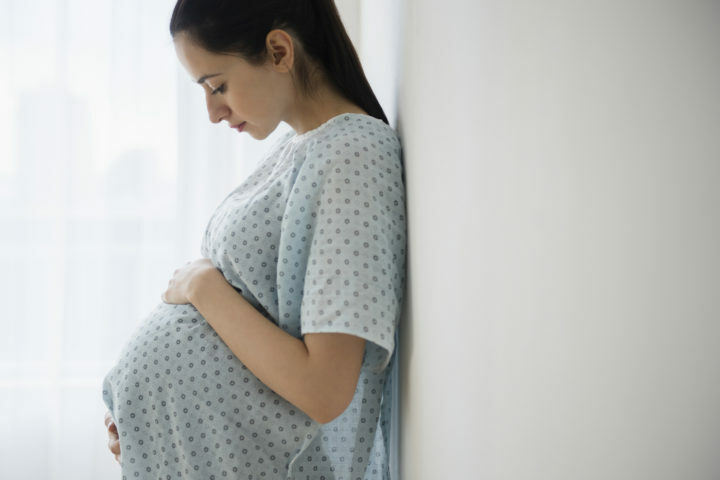 I knew very little about the abortion procedure itself and I at least partially bought into the message that abortion is always emotionally damaging. I first learned about abortion as a political issue; I remember discussing it in Social Studies class, but never in Health. To my memory, my progressive parents never discussed it with me when I was growing up and becoming sexually active. Doula is an ancient Greek word for a serving woman; today it usually refers to someone who provides emotional, physical, and informational support to a person before, during, and/or after they give birth. In 2007, The Doula Project expanded the word’s meaning when they began to offer similar support to people choosing abortion and adoption. I was trained as an abortion doula in the fall of 2013, by Doula Project leaders who came to my college campus to conduct a group training. I spent the next three semesters going into clinic to volunteer as a doula, and participating in the caring community of the Wesleyan Doula Project. Through learning empathy, I unlearned stereotypes. I came to understand that this moment, though a fascinating and intense one to be present for, was not significant for everybody – though of course the patterns I witnessed did not necessarily reflect universal trends. Even so, for every patient who needed me to wipe tears from their face or hold them for an extra moment before helping them down from the procedure table, there were many more who needed me only for physical support or small talk. Each person astounded me with the power of their choice, whether or not that choice weighed on them. We should all be talking about the right to choose. But we’re only having half of the conversation when we do not also acknowledge the realities of what an abortion is and the (not always traumatic, often mundane) ways it affects us as individuals. So this is a request, even a plea: talk about and think about abortion, reflect on it deeply in relation to your life and the lives of those close to you. For parents: if you think it’s important to talk to your children about contraception, consider this in a similar vein (and even loop it into the same conversations). We don’t each need to stand in the procedure room in order to recognize the value of actively living our pro-choice politics. And my experience, of being pro-choice but not thinking actively about abortion, is easily reversed: Many people know abortion may be the right choice for them, or know that people close to them have had abortions, but do not necessarily engage politically. Both experiences, and the many that fall in between them, are valid. Being an abortion doula simply taught me the power of wedding my convictions to my reality.